The Wanda Siemaszkowa Theatre in Rzeszow is the only professional stage in Podkarpacie. The institution has a fundamental meaning for cultural and artistic activities in the region. It offers a full range of repertoire propositions to its spectators. The theatre has a key role in forming the cultural life in southeast Poland. Besides theatrical production, the theatre manages the Szajna Galery, organizes the international poster competition – Theatrical Poster Biennale and holds two nationwide festivals. 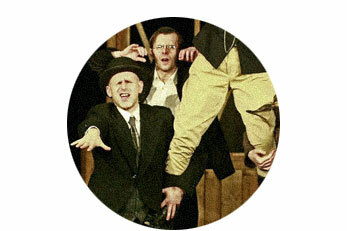 Professional theatre company based in Zakopane. The theatre was established in 1985 when nobody believed in its success. Zakopane was considered a very unlucky place for all artistic activities, but premieres of such plays as Autoparodia, Life is a dream, Doctor Faustus and Cabaret Voltaire proved to be very famous events and their fame surprised even the theatre team. Witkacy Theatre became a very fancy place. After 1990, situation changed. Critics turned away from the theatre, elites seemed to be very disappointed, new generation of artists dismissed the place completely. Luckily, Andrzej Dziuk and his team were resistant to such a blackmail and they were very sceptic regarding all the novelties. Witkacy has its own place on the Polish theatre map and is considered as a theatre “apart”, where – despite contemporary tendencies – both text and actors are respected. Teatr Powszechny was created in 1944, on Jan Mroziński initiative. In the first years of its existence Powszechny Theatre was a place of work for many pre-war actors. Since the very beginning, the theatre has been presenting the most renowned plays by prominent authors: Gabriela Zapolska, Charles Dickens and Shakespeare. In the late 50s, the renovation period begun. The premiere of War and Peace was a crucial moment in the theatre history. Adam Hanuszkiewicz was certainly one of the theatre biggest stars. In 1975, Zygmunt Hübner became the theatre director. Distinguished Polish actor and director brought to the theatre many of the best Polish actors of those times, like Krystyna Janda or Janusz Gajos. Since September 2011, Robert Gliński has been managing the theatre. Theatre was created in 1975 in Opole. Since 2007/2008 season, Tomasz Konina has been managing this institution. The theatre – besides its huge dimensions – is famous because of the organization of the one of the biggest theatre festivals in Poland – Opolskie Konfrontacje Teatralne, Klasyka Polska. Many distinguished artists are connected to this place: Tomasz Nyczek, Czesław Niemen, Jan Kanty Pawluśkiewicz, Andrzej Mleczko, Mikołaj Grabowski. Agnieszka Glińska and many else. The Bagatela Theatre in Kraków is situated at the junction of Karmelicka Street and Krupniczej Street. The theatre's intimate "new stage" is located on Sarego Józefa Street. The theatre's history dates back to 1918, when Marian Dąbrowski, publisher and editor of Kraków's "Ilustrowany Kurier Codzienny" (English: Illustrated Daily Courier, commonly known as IKC, also Ikac) initiated the creation of the stage. The building was designed by architect Janusz Zarzecki during 1918 - 1919, and its interior was designed by painter and decorator Henry Uziembło. A fire that broke out the night of 6/7 April 1928 completely destroyed the interior. In 1926, due to financial difficulties, the theatre was reclassified as a cinema. In 1938, the building was modernized and renamed "Scala". It became the most elegant cinema in Kraków. Housed here during 1946 - 1948 was an intimate theatre. Since 1949 it has been home to the Państwowy Teatr Młodego Widza (English: State Theatre of the Young Viewer). The Rozmaitości Theatre was established here in 1957. The theatre returned to being called Bagatela in 1970, and was dedicated to the memory of Tadeusz Boy-Żeleński in 1972. The writer and doctor lived in a flat in the area for many years. Roman Polanski made his debut here as a young man. The theatre was originally designed for children but nowadays shows musicals, comedies and other light entertainments suitable for families. The KTO theatre was founded in 1977 with the Ogród rozkoszy show. Its shows have been attended by over two million people. 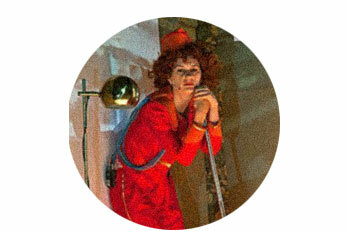 The theatre visited more than 250 cities, in more than 40 countries on 4 continents. Since 1st January 2005 the KTO has had the status of a Krakow municipal theatre. 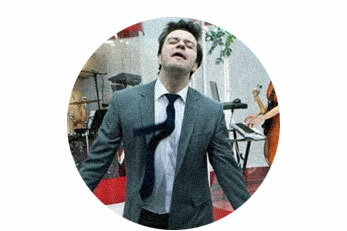 The director of the KTO Theatre is Jerzy Zon. Capella Cracoviensis is a professional music ensemble and mixed symphonic choir based in Kraków, Poland. It was formed in 1970 by composer and music conductor Stanisław Gałoński (b. 1936), its first director and general manager. Capella Cracoviensis specializes in early music, Renaissance polyphonies, Polish Baroque, and classical chamber music played on period instruments, as well as oratorios, and operatic scores including works of Mozart. The home base for the Orchestra is the historic Krakow Philharmonic Hall located at Zwierzyniecka street. Regular performances in many world-renowned venues have confirmed its status as one of the Poland's most outstanding period instrument ensembles. The Groteska theatre is one of the most renowned Polish puppet scenes. The theatre was created in 1945 by prominent theatre artists, Zofia and Władysław Zaremba. Since 1998, Adolf Weltschek has been managing the place. 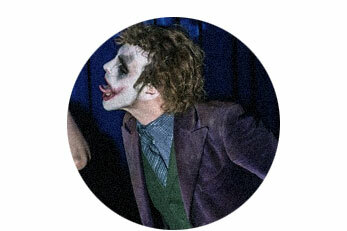 His theatre philosophy goes beyond the scene dimension. Groteska’s shows are devoted to multigenerational audience. 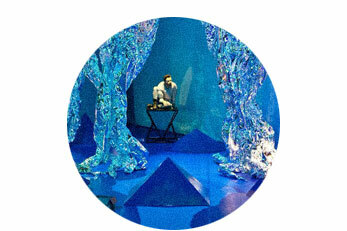 Artists try to combine many of theatre forms: music, dance, puppet, animation etc. Teatr Nowy is based in the art-nouveau building in the center of Poznań. The cabaret was located in the building before it was turned into professional scene. The official opening of the theatre took place in 1923. In 1937 the theatre went bankrupt and was closed. The scene was reactivated by Izabela Cywińska in 1973. 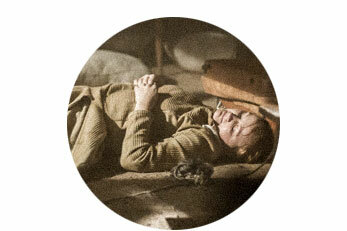 In 1993, during the rehearsal for King Lear, famous Polish actor Tadeusz Łomnicki died. On the 10th anniversary of his death the theatre was named after him. 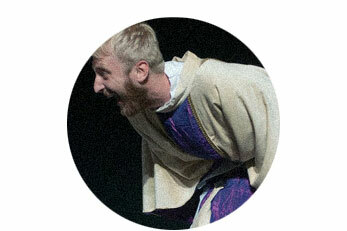 The theatre started its activity in Srebrna Góra, 60 km from Wrocław in the evangelic church building. The theatre was created as an effect of the collaboration of the Wrocław Technical University, ITTv Group form Lublin, Chorea Theatre and Fabryka Sztuki from Łódź. The first Internet theatre was created! In the premiere show of “Odpoczywanie” more than 16000 of Internet users took part. Interactive transmissions were sponsored by the Council of Europe. Since 2009, the nettheatre has functioned as a part of Centrum Kultury Lublin. Polish theatre in Legnica was founded in 1977. The theatre was named after Helena Modjeska in 1999. Since 1995, Jacek Głomb has been managing the place. The theatre consequently realizes idea of combining artistic activities with the city space – shows are presented not only in historic theatre building but also in the old interiors of factory halls, restaurants and shops. 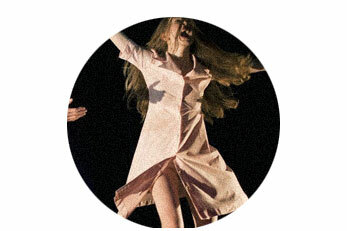 The fruit of this concept are famous and prize-winning shows as Coriolanus (1998), Hamlet, Prince of Denmark (2001), Othello (2006) and other contemporary plays written especially for Helena Modjeska Theatre and inspired by local and authentic stories: Ballada o Zakaczewiu (2000), Made in Poland (2004), III Furies (2010). Seven of Legnica shows were televised. The theatre presented its shows in Poland and abroad, not only in Europe (f.eg. Fringe Festival in Edinburgh), but also in Russia, USA, Argentina and Turkey. Modjeska theatre produces unique educational project and other cultural initiatives. 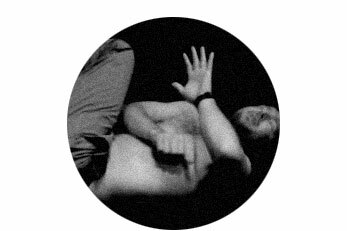 In 2012, they started the Theatre of stories project which was meant to be an alternative for homogenous contemporary theatre. The manifesto which announced the initiative caused an intensive discussion about Polish culture and theatre. Distinguished artists as Piotr Cieplak, Piotr Tomaszuk, Ondrej Spišák and Lech Raczak declared their access to the project. Producers of "The Curse, Episodes from the Time of Despair"
PWST National Academy of Theatre Arts in Krakow was founded in 1946 by Juliusz Osterwa as a result of merging three independent actor's studios: Actor's Studio of Stary Theatre, Actor's Studio of Słowacki Theatre and The Iwo Gall Drama Studio. In the very first period of it's existence, the school educated students in a three- year train course. In 1949 the name of the school was changed into State Drama School. The name of today was adopted in 1955. In 1954-1964, the Ludwik Solski Drama School had also a Puppet Department (the department's graduates are Maja Komrowska, Ryszard Cieśak, Kazimierz Kaczor). The new puppet department was reactivated in 1972 in Wrocław. School in Cracow has also a directing department. The best known graduates are: Mieczysław Górkiewicz, Jerzy Grotowski, Halina Grylaszewska, Mikołaj Grabowski, Krystian Lupa, Edward Lubaszenko, Anna Augustynowicz, Grzegorz Jarzyna and Krzysztof Warlikowski. Officially, we are a newly established artistic association functioning in Warsaw. In fact – we are a group of young creative friends that decided to join forces and to create in Polish art. Most of us graduated from The Ludwik Solski State Drama School in Kraków at The Dance Theatre Department in Bytom. Our education determined us to create a space for development in a country where dance, dance theatre and related performative initiatives lack the well established tradition of dramatic theatre and not yet recognised by cultural institutions. STRUKTURA.By is therefore an invention that enters the world of Polish art with new energy, new ideas for the artistic but also public sphere with undisputed recognition of the achievements of polish art. Majority of us is already individually active in this art world – in polish theatres, international projects, movies, leading workshops. Some created their own performances. We took part in various site-specific actions. The diversity of our experience amounts to a pretty explosive professional artistic achievement. This is also convinced us and led to forming the association. We love doing what we do, but we also want and need to make a living out of it. We strongly say 'NO' to being treated and paid as amateurs. We need resources, we need calories, we want sumptuous, full-throttle art! We are professional enthusiasts! That is why instead of frustrating on unfavourable conditions for creation in our field – we use adversities as our advantages, as positive impulses for a change. We tackle lacks with self-sufficiency. We will reach our goals, we will be fulfilled and our worries will be only of artistic nature! Established in 1781, The National Stary Theatre in Kraków is one of Poland’s oldest public theatres. Connected to the stage are the names of eminent directors, including Tadeusz Kantor, Jerzy Grotowski, Zygmunt Hübner, Konrad Swinarski, Jerzy Jarocki, Jerzy Grzegorzewski, Krystian Lupa and Andrzej Wajda. 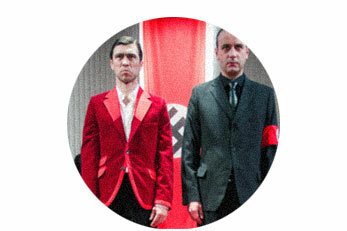 Since January 2013, Jan Klata is the theatre director and Sebastian Majewski is his assistant. There are two currents that influence the repertoire of the Stary: reflection on contemporary drama and theatre and reinterpretations of Polish and world classics under the brand of the re_wizje. 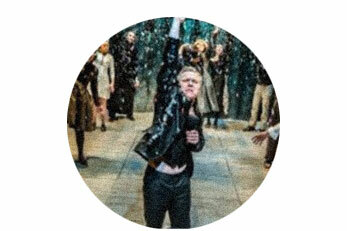 Since 2009 the theatre coproduces prestigous international network -Mitos21, European theatres collaboration network. TR Warszawa has been one of the best known theatres in Poland for over 10 years. It is regarded as a modern theatre open to new ideas, a theatre that cultivates the best theatrical traditions. 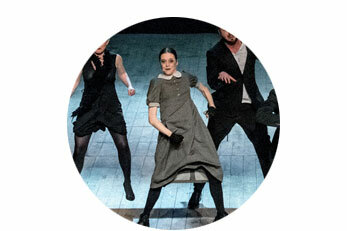 TR’s high position in various rankings of young European theatres is confirmed by numerous awards won by the company at national and international festivals. Among the theatre’s latest projects are T.E.O.R.E.M.A.T. based on the work of Pier Paolo Pasolini, directed by Grzegorz Jarzyna, a co-production with Schaubühne am Lehniner Platz of Dorota Masłowska’s No Matter How Hard We Tried, Areteia by Grzegorz Jarzyna, a co-production with Schauspiel Essen prepared as part of the programme RUHR.2010 – European Capital of Culture, Jackson Pollesch by René Pollesch, Nosferatu by Grzegorz Jarzyna, inspired by Bram Stokers’ Dracula. The theatre is comprised of three stages: the Small Stage, Świebodzki Stage and the Jerzy Grzegorzewski Stage. Since 2006 the theatre has been managed by Krzysztof Mieszkowski who is both, its Artistic and Managing director. The theatre has a unique education and pro bono program: „Aktywne poniedziałki”(„Active Mondays”) a series that consist of meetings with artists and politics and Wszechnica Teatralna; meetings, lectures and screenings about Kantor’s, Grzegorzewski’s, Grotowski’s and Müller’s theatre.